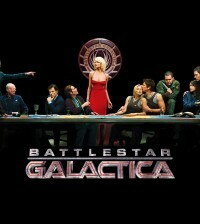 Don’t fret too much though as the original series’ creator Glen A. Larson is on-board to produce the new Battlestar film. Ronald D. Moore, the name behind the 2003 series on Syfy, is not currently attached to the film. Transcendence writer Jack Paglen will pen the screenplay, with Universal’s EVP of production Scott Bernstein and director of development Jay Polidoro overseeing the project for the studio. Currently there is very little news about the project other than it is happening. A projected release date has not been announced.